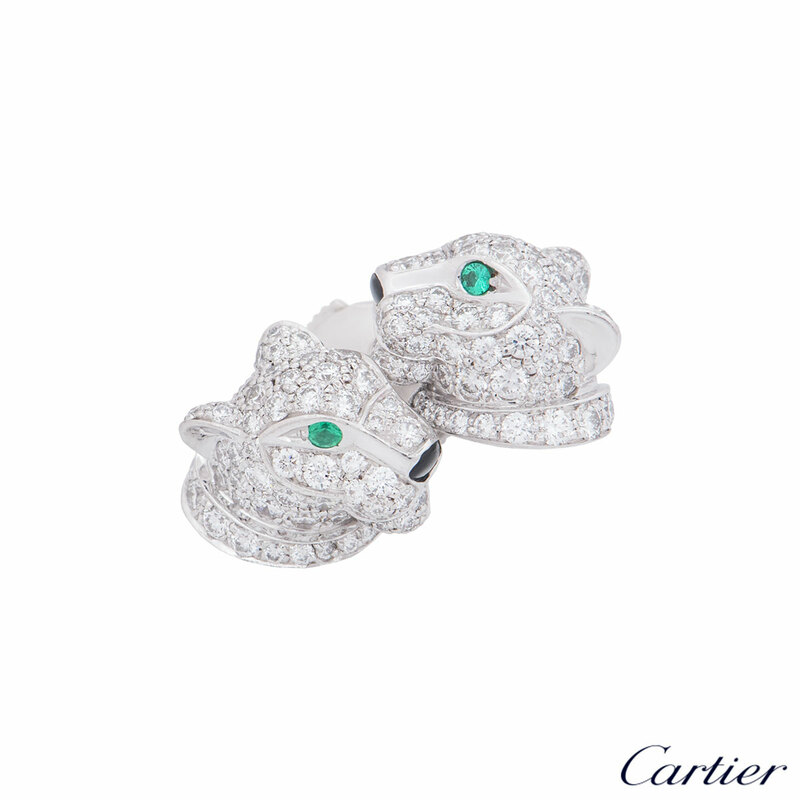 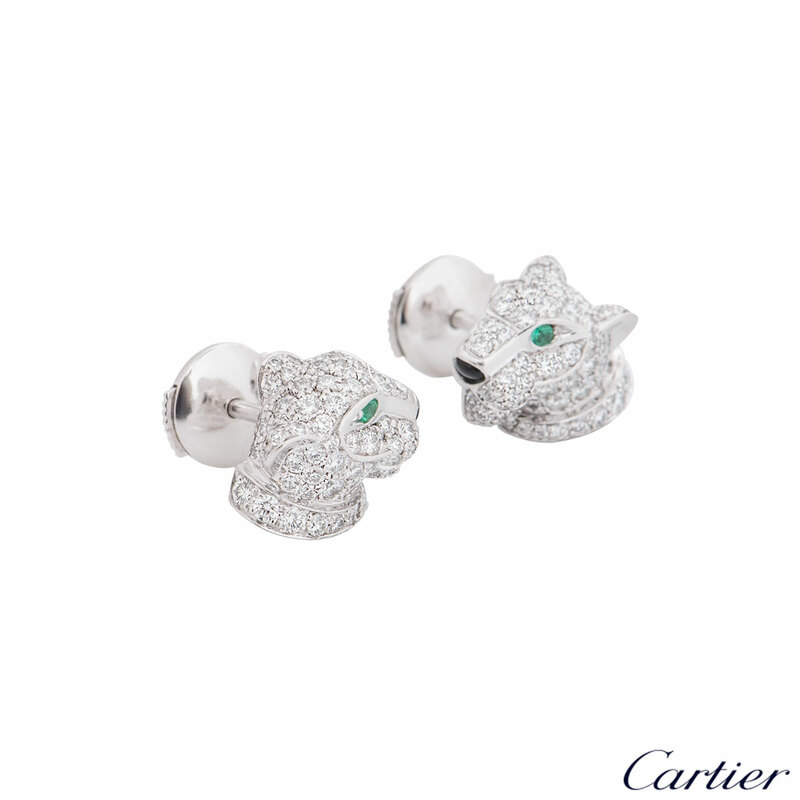 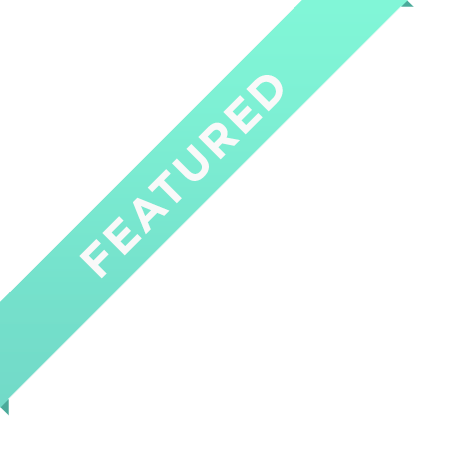 An 18k white gold pair of diamond,emerald and onyx Cartier earrings from the Panthere De Cartier collection. 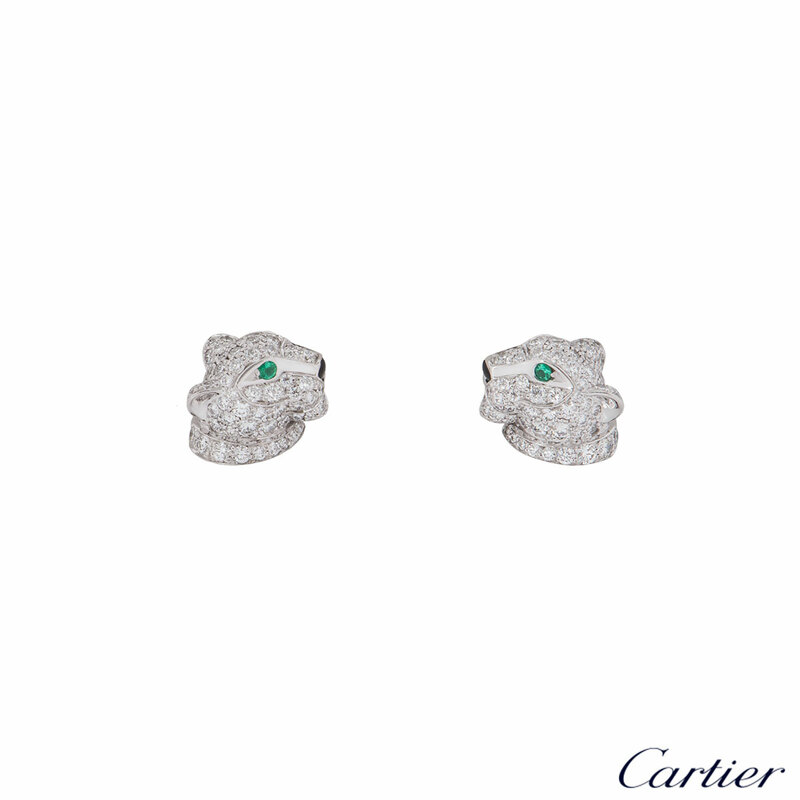 The earrings feature a panther head set with 126 round brilliant cut diamonds with a weight of 0.76ct, round emerald eyes and onyx nose for detailing. 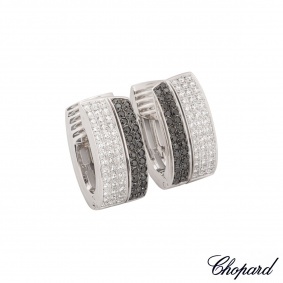 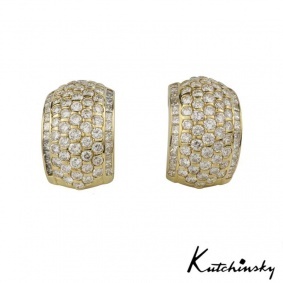 The earrings have a length of 1.00cm with a post and alpha back fitting. 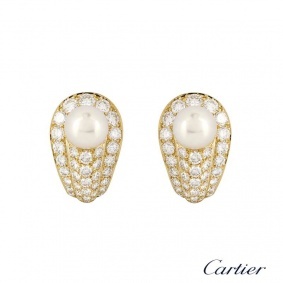 The earrings have a gross weight of 7.40 grams. 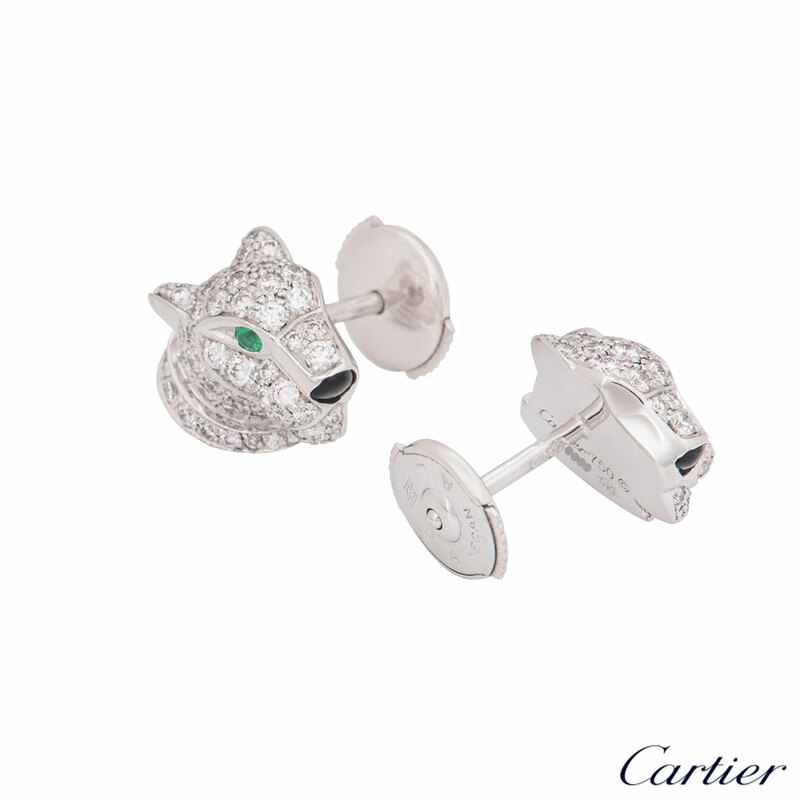 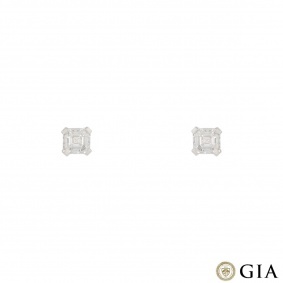 The earrings come complete with a Cartier presentation box and our own certificate of authenticity.